Melbourne, FL – U.S. 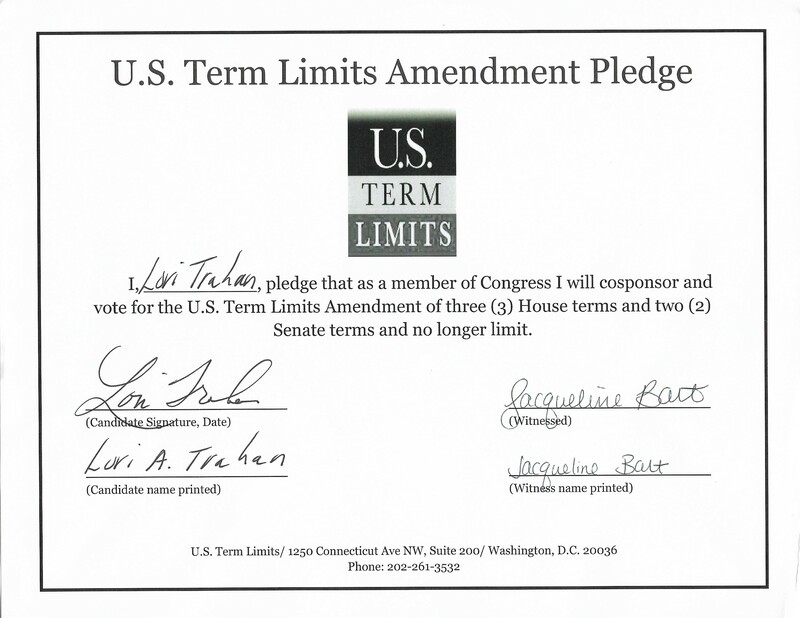 Term Limits (USTL), the leader in the non-partisan, national movement to limit terms for elected officials, today praised Massachusetts U.S. House candidate, Jeff Ballinger for signing its congressional term limits pledge. Previously, Lori Trahan committed her support by signing the term limits pledge. The U.S. Term Limits Amendment Pledge is provided to every announced candidate for federal office. It reads, “I pledge that as a member of Congress I will co-sponsor and vote for the U.S. Term Limits amendment of three (3) House terms and two (2) Senate terms and no longer limit.” The U.S. Term Limits Constitutional Amendment has been introduced in both the U.S. Senate by Senator Ted Cruz (R-TX) and the House of Representatives by Representative Ron DeSantis (R-FL). The term limits amendment bills would require a two-thirds majority in the House and Senate, and ratification by 38 states, in order to become part of the U.S. Constitution. View Ballinger’s signed pledge here. View Trahan’s signed pledge here.